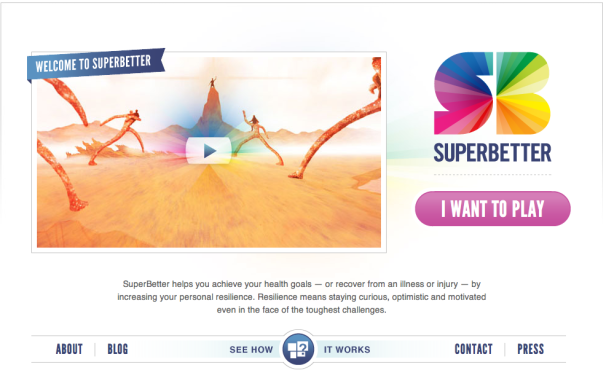 Earlier this month we saw the launch of the beta for SuperBetter, an online game that promises to help you recover from injuries faster or raise your general level of health through daily “quests” and other game-related activities. SuperBetter is the brainchild of Jane McGonigal, the author of Reality is Broken, and one of the leading advocates behind the Games for Change movement. But SuperBetter and Games for Change in general have a dirty secret: they’re not very fun. Games for Change supporters believe in the untapped potential of games to motivate people to action that could change the world, and their evidence is compelling. The man-hours sunk into the online MMO World of Warcraft is about a hundred times that spent editing Wikipedia, and if just a fraction of that time could be harnessed for social good the consequences could be enormous. It’s hard to argue with the math, and certainly charities like Child’s Play, which helps raise money to provide games for sick children to play while they’re in the hospital, have shown that gamers are willing and able to help improve the world around them. The problem with SuperBetter and the Games for Change movement in general is that they’re heavy on the social improvement but light on actual gameplay. SuperBetter and most other games for change I’ve come into contact with require dedicated and self-directed players. Instead of a traditional game with a set challenge and a set system to meet it you end up setting your own goals and self-reporting if you achieved them or not. While that’s great for player empowerment, it ends up making the result feel less like a game and more like a personal organization system built by someone who played one too many RPGs. The Games for Change crowd was at this year’s Game Developers Conference and had several talks focusing on the potential of gaming to improve health. Speakers touted the potential of games for change as well as the success stories of the movement’s relative breakout hits like FoldIt, a game that lets players contribute to scientific research in protein folding. 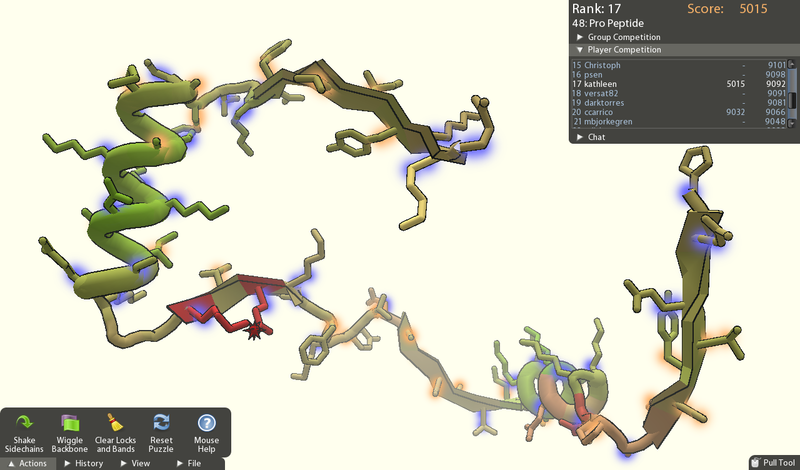 The contributions from FoldIt players have already lead to several advances in the field of protein folding research. These talks were unique among the GDC lineup, as they barely discussed game design at all. Concepts like player engagement (which other designers devoted full talks to discussing) were brushed aside in Games for Change talks. It really seemed as if most of the Games for Change speakers thought game development was as easy as simply wanting to engage players; it appeared as if they hadn’t considered how to design gameplay at all. I’m not sure if the movement just believes it’s still necessary to inform the wider population about their ideas before they really get into the nitty gritty of game design or if they’re actively afraid of some of the tougher challenges of reconciling traditional game design with social change. Either way, they’re doing their movement a disservice. Games like SuperBetter, with their simple design and self-directed gameplay, are in effect preaching to the converted. For those that believe in the Games for Change future, these games are proof of the potential games have to change lives. For those on the outside however, there’s little here to convince the uninitiated. Convincing the masses to jump ship from World of Warcraft requires more than just offering them the opportunity to do so; if we really want games with the power to change the world, they’re going to need to offer the same kind of engaging and addictive gameplay that has made gaming so popular. As it stands now, none of those games let me change the (real) world.